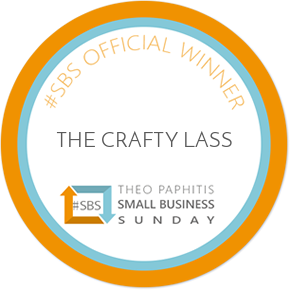 If after purchasing your The Crafty Lass® workshop ticket you are suddenly unable to attend – we are happy to accept refunds on bookings with at least 24 hours’ notice prior to the workshop commencement. Please contact us and we shall get this arranged for you. We reserve the right to recoup any administration costs as a result of cancellations. We reserve the right to cancel any workshops under exceptional circumstances. In these instances, we will endeavour to provide as much notice as practicably possible. Full refunds will be made but we will not take any responsibilities for any other associated costs incurred, including but not limited to, travel, accommodation and lost work time.